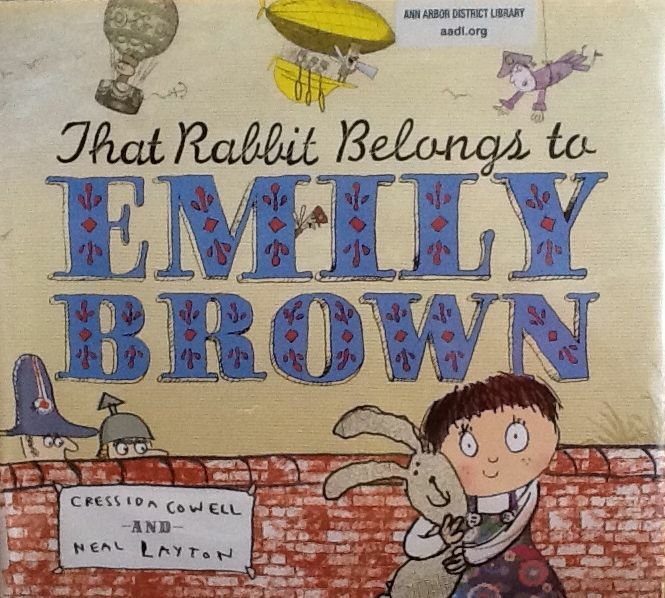 This entry was posted in Book Reviews, Katie, Picture Books and tagged Cressida Cowell, Emily Brown, Rabbit, Stanley, That Rabbit Belongs to Emily Brown, writing. Bookmark the permalink. This is one of my all-time favorites. I have a review on my site, too! It’s always a hit with my kids, too. I’ve never seen this one but it sounds like lots of fun! 🙂 Thanks for sharing! What a delightful story. I’ve never heard of it before. Thank you for sharing some lines so we got a sense of the book. Great selection. I’ve never heard of this one either, but it sounds delightful! Can’t wait to take a look. I haven’t heard of this but it sounds hilarious. Thanks for recommending it. I will look for it! The title had me, then the cover, then bunny’s name! Putting it on hold now! Aww… you have a bunny story too! It sounds like a fun read. Thanks for sharing Katie! Aww… you found a bunny story too! Great minds! Sounds like a fun story, thanks for sharing Katie! Stanley – hahah. This is new to me, but very happy for the recommendation! You’re right about the cover. It’s a charmer. May all authors (non illustrators) be so lucky. This one was new to me.